Allergies can bother us and our pets year-round, but some seasonal allergies will kick into gear starting in the autumn months. Both dogs and cats can have indoor and outdoor allergies, and just like us, it can make them miserable!! Are your animals itching their ears, licking or biting their feet, or scratching all the time? These symptoms could be signs that your animals have allergies. They can develop skin irritations and welts, ear infections, and secondary bacterial infections from these allergies. Give your pets the medical attention you would give yourself in these circumstances and visit your veterinarian for a consultation. Know what food you are feeding your animals, and try to keep a diary regarding what time of year your pet gets itchy. This information will help your veterinarian determine the correct medications to help your animals. 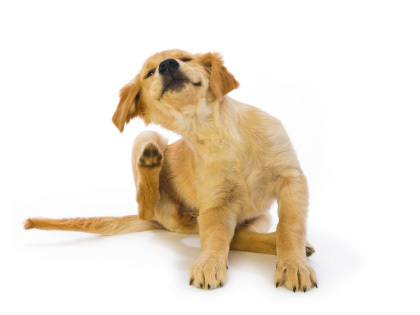 With the correct food and medications, most dogs and cats can lead an itch-free life!